Mistakes to Avoid When Investing in Real Estate - Learn Here! 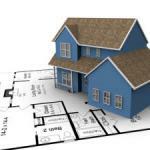 Historically, real estate has always been a profitable industry to invest in. Over the past 50 years, real estate investments have become very popular, and have resulted in some big gains for those who know what they are doing. Unfortunately, the real estate industry is currently recovering from the recent economic recession, so investing in the housing market is riskier than ever. This, plus the high capital requirement, and the cash flow dependency, makes real estate an industry in which new investors, and even experienced ones, can easily find themselves not able to keep going due to a simple mistake. Of course, even with the recent economic issues, a nice profit can still be made from investing in real estate, but it will be more difficult to do so. Let’s have a look at the most common mistakes that are made when investing in this industry. Educating yourself by learning from your own mistakes is not an option in the real estate world. One mistake is all it takes to put you out of business, so getting an education is an important part of becoming a successful investor. With so many educational opportunities available today, the only problem you will face is finding the best one. This is not something that you will want to try and save money with. Real estate education might seem expensive, but you will quickly realize that it is cheap if you compare it to what you will earn if you make it in this business. There are a lot of things that determine a home’s value, such as its size, the materials used in construction, the neighborhood that it is located in, and its condition. These are just some of the main aspects of a home that you should be aware of before investing in it. There are a lot of other things that you should know about a house or apartment before buying it, like if it’s located near public transportation or schools, if there are any construction sites nearby, if the area has flooding or termite problems, how old the home’s appliances are, and many more. Closely related to doing good research on the property, overpaying is one of the main reasons you are not making money with your investment. Looking for a property can be time consuming and frustrating, so you might get a little hasty when finding a good home, and end up paying too much. To avoid this, you must have knowledge of what other properties in the area are listed for and have sold for in the past. Your profit is directly related to how long it takes you to buy the property, make improvements and resell it. Costs associated with making exterior and interior improvements, keeping the appliances running, or making changes to the property can quickly accumulate, so you must keep those in mind before investing in a property. Many new real estate investors make the mistake of falling in love with a home that they have found on the market, which usually leads to them going out of their way to buy it. Decisions driven by emotion will usually result in a bad investment. Another way in which beginner investors lose money is by getting too attached to a home and not realizing that its value is starting to decline. Selling a property in a timely fashion is important in this business, and you will lose money if you fail to do so. Real estate investing is much easier if you are part of a team of professionals. It’s tough to make it on your own in this business, especially in this economic climate. Being part of a team, or assembling your own team, can be very beneficial to all the people involved. Aside from that, you need to build good relationships with other agents, home appraisers, inspectors, people who work in home repairs, and lenders. Many big players in the real estate industry have made one or two mistakes themselves, but they have recovered. It is up to you to learn from their mistakes, and try your best not to make some of your own. Investing in real estate is a tough business which takes a lot of work, smarts, and luck, but the rewards are worth it.